Core Booster is a premium plugin for Gravity PDF that adds a number of enhancements to the Core and Universal PDF templates. The Core PDF templates are the free designs that ship with Gravity PDF, and the Universal templates are the premium designs from our Template Shop. 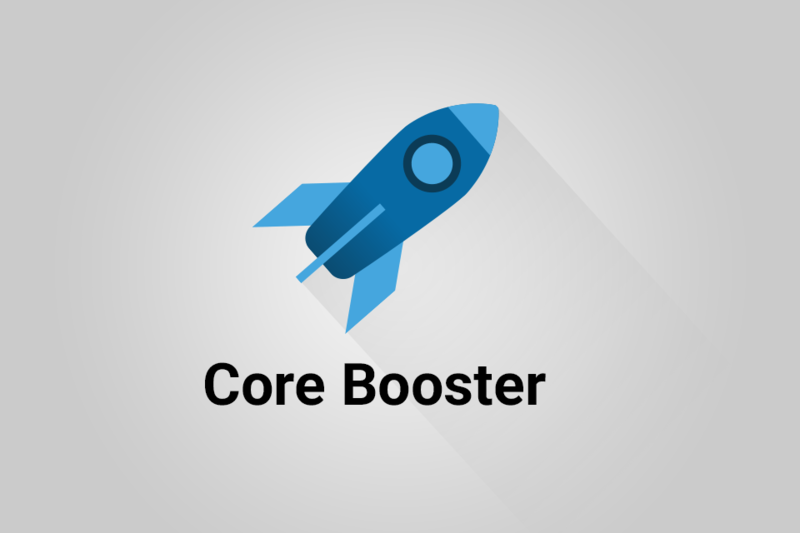 You can purchase the Core Booster plugin from our Extension Shop. This guide will walk you through installing and configuring Core Booster to its full potential. This extension adds a number of new features to Core and Universal templates. All functionality can be enabled from the Template tab when editing the PDF settings. This feature allows you to control which fields are displayed or excluded in the current PDF. You can create multiple PDFs on the same form with different fields selected. This setting will override the rudimentary “exclude” CSS class. The fields you included will be displayed in the original order used in the Form Editor. You cannot re-order the fields. This feature allows you to display the Entry Notes at the bottom of the PDF. Regardless of template used, the Notes will match the layout and style used in Gravity Forms. This feature allows you to control if all available options are shown in the PDF for Radio, Checkbox, Select and Multiselect (RCSM) fields. You can individually enable this functionality for each field type. For example, you can set only Radio fields to show all options, and leave the other fields using the standard Gravity PDF output. If you aren’t using a layout column on your RCSM field (usually using the CSS classes, like gf_left_half, gf_left_third or gf_first_quarter) you can create up to five option columns. Use the CSS classes gf_list_2col, gf_list_3col, gf_list_4col, or gf_list_5col to enable this functionality. Note: Option columns don’t work in the templates Formium, Colossus or Cellulose as they utilise layout columns internally. Product fields that utilise an RCSM field are compatible provided you ungroup the products. You can find this setting at the bottom of the Template tab when editing the PDF Settings for Core and Universal PDF templates. This feature allows you to control whether Radio, Checkbox, Select and Multiselect (RCSM) fields will show the selected option label or value in the PDF. This setting will apply to all RCSM fields in your form, including Product fields that utilise RCSM field types. When enabled, a field’s description will be displayed alongside the user’s response. The description position is determined by your Form Settings and can be placed above or below the user’s response in the PDF. Disable this feature to prevent products from being grouped at the end of a PDF. Instead, they’ll be displayed in the order they appear in your Form Editor. As of Gravity PDF 5.1, you can completely remove the Product table. Prior to 5.1, to remove you have to ungroup the products and remove them using the the Customise Field setting.